Are Some People Immune To Bed Bug Bites? Bed bugs are oftentimes some of the most annoying things to deal with in your home. When your beds have bed bugs, they can be tough to deal with considering they bite and can also lay eggs and cause even more potential bed bugs to grow. It's extremely tough to get rid of them once they spread throughout your bed. The truth about bed bugs is that there is so much to learn about them in order to properly get rid of them. One of the things most people want to know is whether someone can be immune to them after awhile. How Do Beds Attract Bed Bugs? Depending on the situation, it all depends upon what kind of home you have. If your home is prone to open spaces that to may cause for some bed bugs to easily make their way into your bedroom, that could be the main reason. There are other things that can cause it, like a bad case of dirt or foods that may attract them to your bed. Anything that may cause them to be attracted to your bed will bring them there, and the biggest problem is when they duplicate and have more of their creatures jump in. The more they reproduce, the harder it is to get rid of them in your home. 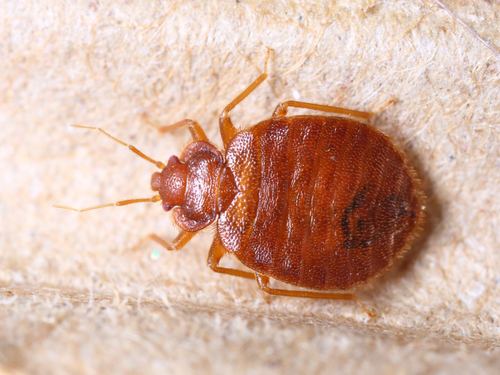 It all depends on multiple factors and what exactly the type of bed bug it may be. The truth is that some bed bugs are more tougher on the skin when they bite than others. Over the years, it has been reported that most people are actually not that reactive in regards to bed bug bites since they may not be so bad on the skin. Most people just believe that the bites from bed bugs are not that painful or don't give any type of feeling. However, it's important to remember this type of "common knowledge" does pose a few flaws, considering there are countless studies of different situations on the subject. Bed bug bites can easily affect some people. A study was done several years back where 24 people were asked to be bitten on purpose to check their reactions. Out of the 24 people, 11 of them reacted. Many other studies showcased that while not the majority of people reacted, a good number still experienced some kind of discomfort, pain, or some type of reaction that affected them negatively. It is true, however, that some people may be a bit immune to the feeling and eventually get used to it if they don't happen that frequently. Another study discovered that some people actually experience some serious problems once they experience consistent pain and bed bug bites over a longer time period. It's important to remember that oftentimes these reactions are usually just allergic in nature. It's common for their first bite to give no response, but the second and third future ones cause the body to lose out and experience more sensitivity. 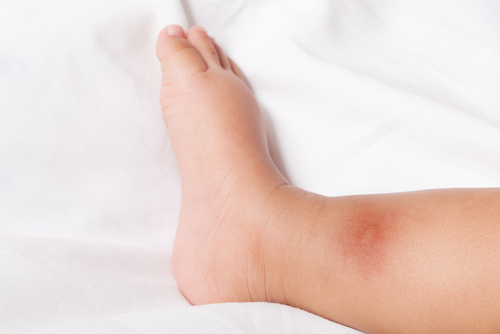 An infestation can be tough to overcome, and the continuous bites can either make a person either extremely allergic to them or stronger overall and more naturally immune from the bites. It can really badly affect you if you aren't so new to the bites depending on your current health. To help prevent future bites, you can easily reduce the chances on getting bitten by simply spraying lavender spray throughout your home. These creatures just hate this smell and its overall aroma. 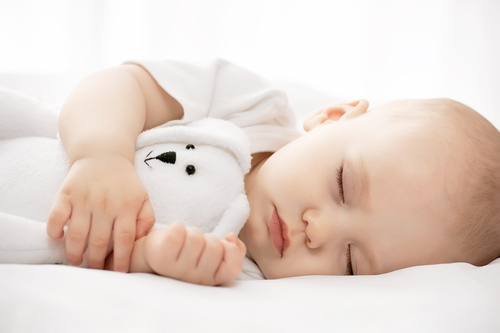 Just spraying it throughout your home and in some areas of your bed can help protect you. You can try maintaining a good and healthy diet, along with a reliable workout regimen can help you out in the long run. It's vital that you continue to cover your bed thoroughly. There are specific mattress covers that you can have to be warped around your bed before you a teach your next s of sheets. This will force them to not find a way out, lose out on food and water, and eventually die out. It's a longer process, but it's a smart little way to sort of stop the problem of the bed bugs from going out of your bed and bite you. Covering your bed is also an effective and affordable way to fix the problem. If you have open cracks in your walls, bugs can find their way into your home. You want to prevent more from coming in to your home and living in your beds. Close up any open cracks in the walls or any openings that can allow for more bugs to enter your home. Simply closing in on these openings throughout your kitchen, bathrooms, and everywhere in your bedroom can help you save so much of your time for the long run. Pest control is truly one of the best ways to go if you want to save yourself from future turmoil with those annoying bed bugs. It's tough at times to deal with all the annoying pests that may be found in your home, but the key is to be prepared and to have pros handle the job. It'll be best if you in invested in pest control since they can handle the job, help prep event future bed bugs, and also prescribe to you some of the best tricks for improving your overall home to stay clean of all bugs entering your home. There are countless ways you can get rid of bed bugs, but the best thing to do first is to ask for professional help since they can use all the right tools for protecting your home. Bed bugs are extremely tough to deal with, but the right prevention tricks is all you need to keep your home safe. Understand that even though you may be a bit more immune than others from the potential bed bugs bites, it's still worth it to get rid of there to avoid others getting bitten.